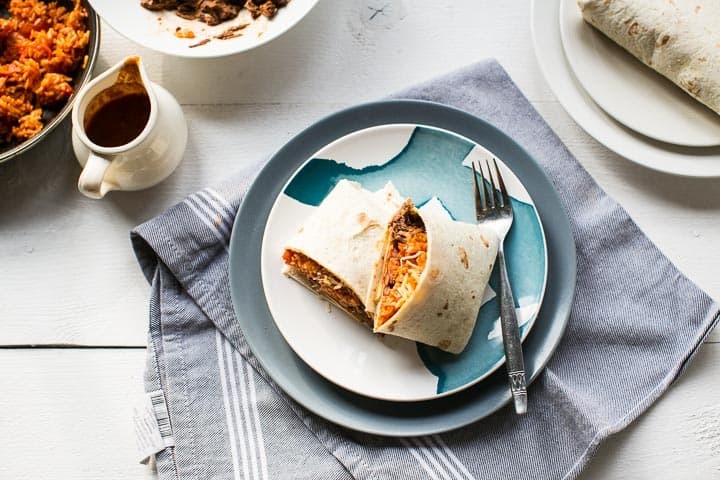 Here's our collection of fun and easy beef burritos recipes. All the beef burritos recipes have step-by-step instructions. We hope you love them as much as we do! To honor National burrito day we are making beef burritos with Mexican rice. Beef burritos wrapped in a soft big tortilla. Add some chili beans and I guarantee you will be in burrito heaven. Are you ready to learn how to make these beef burritos with Mexican rice? Lets get started!